One of the goals for our podcast Hyperspace Theories is using the perspective of storytelling to inform the process of speculation about future Star Wars tales. While promotional reveals and rumored spoilers can shape fans’ ideas about directions for speculating, getting inside the mind of the storyteller also can provide a basis for anticipating future developments or culling among more likely and less likely possibilities. Last week Tricia and I were discussing a key decision for any storyteller: writing the death of a fan-favorite character. Certainly neither of us is opposed in principle to “killing our darlings” in stories; anyone who’s read our fiction knows that. At the same time, when carried out poorly such a death can cause a profoundly negative fan reaction and corresponding detrimental impact on subsequent interest in purchasing later stories. In the Legends era, for example, fans were heartbroken by the death of Ton Phanan but still hold the character and his demise in great esteem; by contrast, the death of Mara Jade Skywalker garnered little but ill will and declining sales for the novels. Fans spurn deaths that undermine characterization or themes, lack adequate reasons in the plot, or fail to pay off in future stories, among other flaws – but they also may come to revere a death written with meaning and impact. In other words, although one decision must be whether to kill the character, that choice cannot be separated from the why and how portrayed in the story. In the course of our conversation, we couldn’t help but think about the inevitable showdown between Ahsoka Tano and Darth Vader foreshadowed by the second season premiere of Star Wars Rebels, “The Siege of Lothal.” A face-to-face confrontation is surely coming. 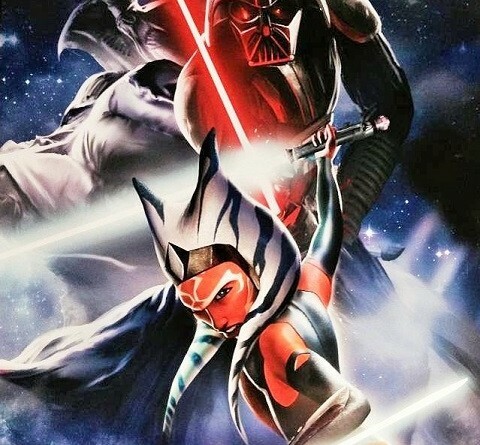 Vader knows that “the apprentice lives,” and Ahsoka recognizes that a relentless hunt for the Jedi will be launched. Much like the fateful duel aboard the Death Star in A New Hope, someday the circle will be complete and the Master and Padawan will meet again. Could Ahsoka survive it? It’s possible. The premiere allowed Kanan and Ezra to escape their duel with Vader through a combination of help from their crewmates and the Sith Lord’s desire to track their shuttle to its destination among a larger group of rebels. Ahsoka similarly might be able to get away with her life under the right circumstances. In the Rebels Recon video for the episode, Dave Filoni pointed out that Ahsoka is a highly skilled warrior who spent years training against Anakin Skywalker. This would leave her better suited than anyone to hold her own in a fight against him. Though the creators are wary of undermining Vader’s dominance as the saga’s iconic villain by allowing him to be defeated by starkly inferior foes, permitting thirty-two-year-old Ahsoka to duel him to enough of a draw to escape might pass that test. 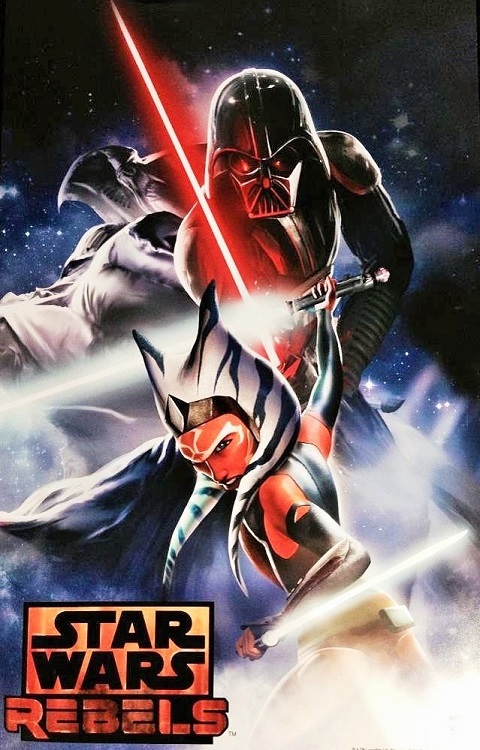 Could Vader end up killing Ahsoka? No doubt that is possible, too. Vader striking her down in single combat would be readily believable given the scope of his powers. While she could live on and die of natural causes like Yoda, few Jedi in the cinematic saga have been granted that peaceful passing – and it seems unlikely Dave Filoni or the Story Group would want her to escape Vader’s wrath only to die at the hands of some secondary or tertiary antagonist later on. It is probably a safe bet, then, that the creators of Star Wars Rebels are giving serious consideration to writing Ahsoka’s death at Vader’s hand. Speculating on the how and why of Ahsoka’s death does not occur in a vacuum. It must be made to fit the story and the characters, and the themes of the saga. 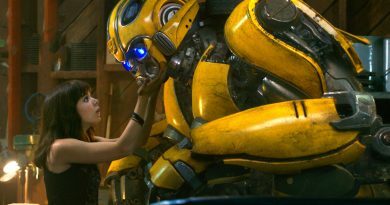 It will be shaped by the perspectives of the key creators, including producers Dave Filoni, Carrie Beck, and Simon Kinberg, head writer Henry Gilroy, and Story Group lead Kiri Hart. And it will be guided by the key influences on the development of Rebels, including strong connections to A New Hope and The Empire Strikes Back. Drawing all of these threads together, a line of speculation emerges that might provide Ahsoka and her fans with one of the most significant deaths in the saga. In A New Hope, Obi-Wan allows himself to be struck down by Vader in their final meeting. This action enables two things to escape the Death Star: Luke Skywalker and the plans to the battle station (in the care of Leia). Both of these are critical to the defeat of the Empire, and Obi-Wan must ensure they reach the Rebel base at any cost. Now that Vader has found his old Master once more, he will not rest until Kenobi is destroyed. If Obi-Wan were to flee on the Falcon, Vader would pursue in his TIE. Hera Syndulla barely escaped Vader in “The Siege of Lothal” after the decimation of Phoenix Squadron, and at that point Obi-Wan would have no reason to think Han Solo could guarantee such a combination of flying prowess and good fortune. This is why it is not enough for Obi-Wan to duel Vader to a draw and leave on the Falcon – he only makes the situation worse if he joins them, but he can buy the young rebels some time by giving Vader the satisfaction of what he believes to be an ultimate victory. Of course, later additions to canon clarified that Obi-Wan already had learned the secret to becoming a Force ghost after death, so he gave his life with the confidence of knowing he would still be able to contact and guide Luke in the years ahead. With his selfless sacrifice, he attains a noble and heroic death worthy of the great Jedi of the Prequel Trilogy. The story elements could align for a similar Jedi choice by Ahsoka to protect the other heir to the Skywalker-Amidala legacy. Rebels already has established that Ahsoka is working closely with Bail Organa in the burgeoning insurrection. Longstanding lore, and more recent canon like the Princess Leia comics from Marvel, indicates that Bail was training Leia for an active leadership role in the Rebellion from a young age. It seems likely that Ahsoka would at least know of Leia’s importance as a leader – and she easily might be one of the few individuals Bail trusts with the secret of her true parentage. If Ahsoka does know that Leia is strong in the Force, that would provide even more reason to ensure Leia’s future at any cost. The connections between Rebels and Rogue One remain unclear, but aiding Leia’s escape might protect not just her personally, but also the Death Star plans or an equivalently crucial asset for the Rebellion. And Ahsoka surely knows that Darth Vader will hunt down his former apprentice relentlessly, so she might conclude that sacrificing herself is the only way to draw that ruthless homing beacon away from Leia and other key rebels. In A New Hope, Vader says “there will be no one to stop us this time” and “you are a member of the Rebel Alliance and a traitor” – and both of these lines of dialogue could take on considerably more power if they become imbued with the emotional impact of an heroic sacrifice by Ahsoka to save Leia. It is not difficult to imagine the creative minds behind Star Wars Rebels deciding that the thematic and emotional power of such a storyline could provide a how and why reason and meaning for Ahsoka’s death to justify having Vader kill her. Like Obi-Wan, she was a dear friend of Padmé’s and would strive to protect her children; like Kenobi, she would honor the memory of the good man Anakin Skywalker had been by obstructing the triumph of the monster he became. In addition, some indications point toward a renewed emphasis on Leia’s importance to the saga, not as a supporting player in Luke’s heroic journey but as an equal heroine in her own right. Creating parallel sacrifices – Obi-Wan for Luke and Ahsoka for Leia – would signify not only Ahsoka’s significance but Leia’s, as well. If both his former Master and his former Padawan fall at his blade to ensure his ultimate defeat by his children, Darth Vader’s stature as the saga’s ultimate antagonist is shown in truly stark relief. Will this speculation turn out to be accurate? Partly close to the mark? Far removed from the final story? Only time will tell. But whether it correctly predicts where the story goes is not the point of the exercise. Rather, even if the creators of Rebels take Ahsoka’s fate in a different direction, analyzing the pros and cons of each possible decision in plot and characterization makes for better speculating and sharpens the storytelling mind. In last Friday’s RebelForce Radio interview Dave Filoni dodged spoilers with his usual aplomb, but he did acknowledge that the possibility of Vader killing Ahsoka is all about context. 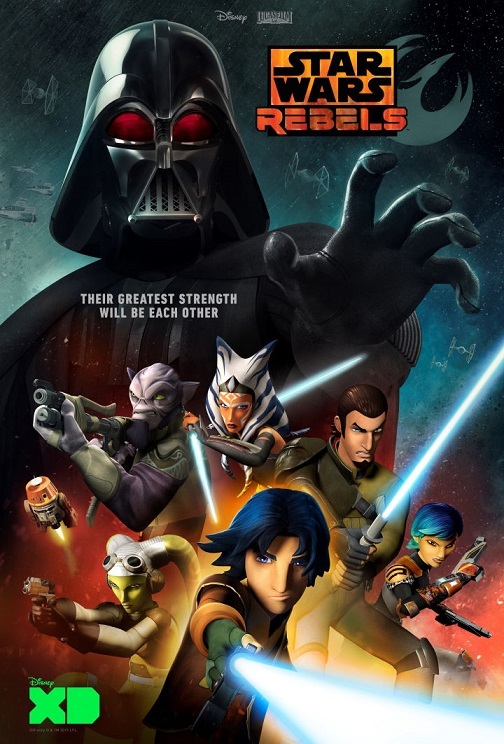 What gives me confidence about their ultimate decision, whatever it may turn out to be, is that I know the Star Wars Rebels storytellers are asking the right questions. One thing this article overlooks, or perhaps has intentionally chosen to ignore, is that there has been no mention of Leia actually appearing on Rebels. Once that does happen, it gives much more credence to this theory, which is otherwise very well thought out. Of course, following her interview on RebelForce Radio, I’m of the opinion that Catherine Taber has already been cast as Leia in Star Wars Rebels. However, I just realized as I was writing this that Disney Infinity, not Rebels, could be one of the “lots of times” to which she referred. Leia did appear in Rebels, in Season 1 I believe. She tells the Stormtroopers she’s there as an ambassador and that her ship has cargo to deliver. The Empire clamp her ship before the Rebels help her out. This is before Ahsoka’s reveal as Hera’s contact. If Ahsoka dies, Darth Sidious should be the one who kills her. Darth Vader’s powerful but his power can and has been established without him defeating Ahsoka who, realistically, should be too fast for him in lightsaber combat. Maybe Vader could win with the Force but in a lightsaber duel, Ahsoka just needs to dart around him until she finds an opening. Since Vader’s a fairly slow and even clumsy duellist who relies on brute strength instead of speed, it shouldn’t take Ahsoka too long to find a hole in his defence. Luke Skywalker did and he was nowhere near as agile as Ahsoka. Sidious probably won’t have much to do in this series but if he does anything at all, I want Ahsoka to be the one who forces him to get his own hands dirty.